Attracted to light trap in a wash parallel to hwy 313, to Dead Horse Point State Park in Utah. Black Light, 8/16/14, about 10 specimens caught. Cottonwood trees, sandy soil. Moved from Tarache. Compare yours to the one on Poole's site. Welcome to Bug Guide. I hope you enjoy the site as much as I have. I am not the expert you are looking for, and I am challenged trying to look at spread specimens since I have to think upside down, but I came across a possibility for you. 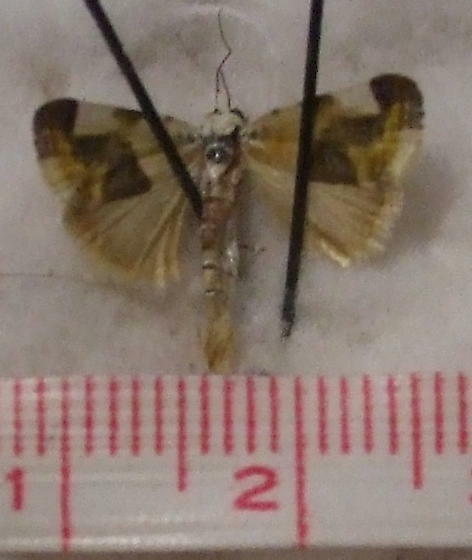 Click on this to see the BG photographs of this species , however, I got to this suggestion from the spread plates on http://mothphotographersgroup.msstate.edu/species.php?hodges=9150. The photographs don't look the same! A suggestion not an ID. reads "Near Moab Utah, Grand county Utah County, Utah..."